Who are the members of the RtI Team? The members of the RtI team should include the Principal, Assistant Principal, Instructional Coordinator, Counselor, Reading/Math Interventionist, Classroom Teacher, PBIS Representative, Behavior Intervention Specialist, and Speech/Language Pathologist. When should I complete the tasks associated with RtI? Use your RtI Manual as a reference. The Year-At-A-Glance section provides a suggested timeline for completing forms and adjusting the learning plans. How can I add the new students that have enrolled at my school? 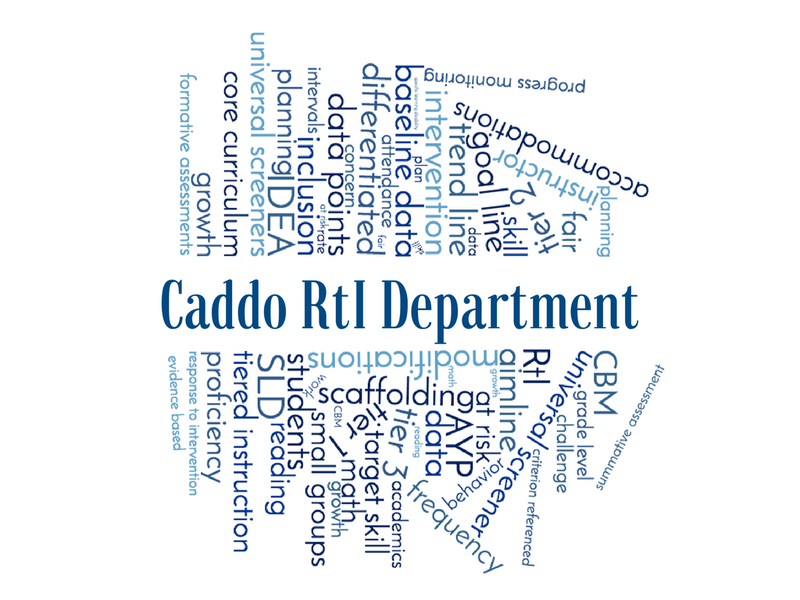 New students that have arrived at your school from a Caddo Parish should be located in the Transfer Academy in AimsWeb and in the DIBELS.net database. However, students that are new to Caddo Parish (never previously enrolled) will need to be added as a new student into the database.